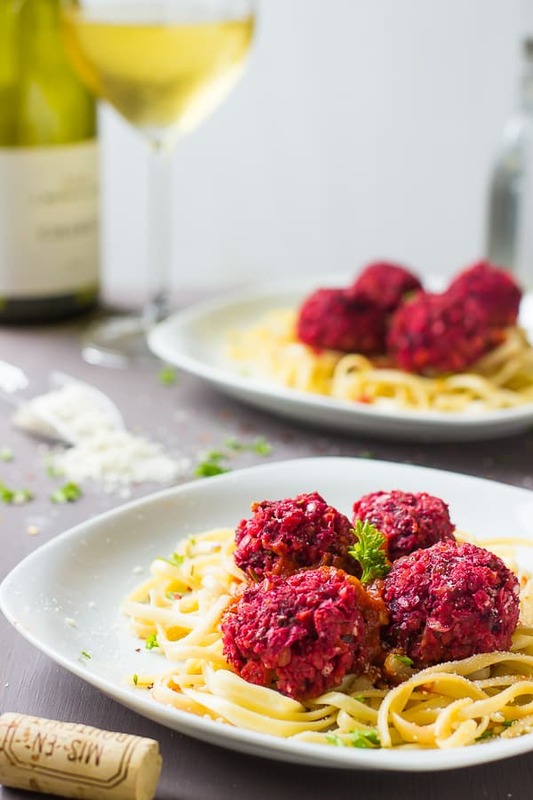 These Chickpea and Beet Vegetarian Meatballs are a sweet and spicy protein packed dish that are great as for dinner or even an appetizer! I know, these aren’t technically meatballs. But I did a survey, and no one ever asks for beet balls. Or chickpea balls. Plus, it’s 2016 – so meatless meatballs, vegan cheesecake, and nut milks are totally OK. Do you know what these are though? Absolutely delicious. 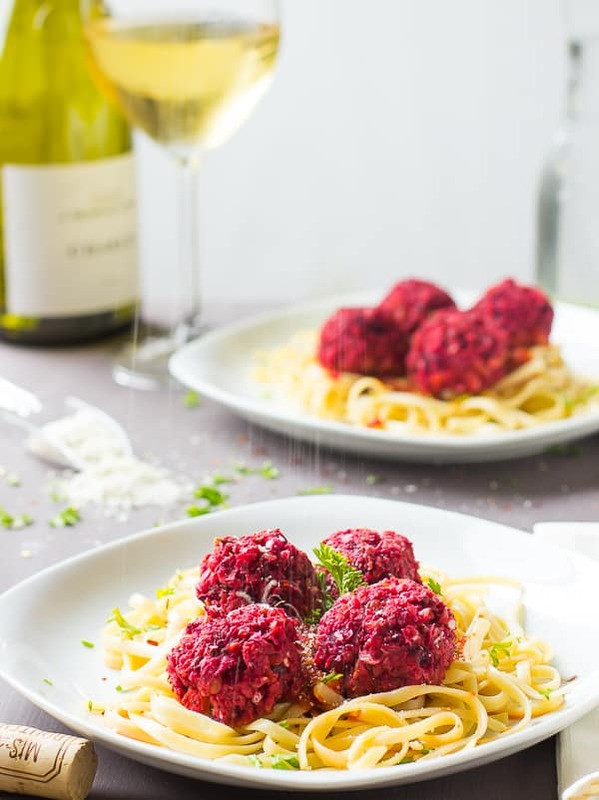 These vegetarian meatballs are firm, yet when a fork goes through them, they are soft and full of flavour. They stand up well just like regular meatballs and that colour! I was going to make chickpea vegetarian meatballs, but then I made like five million roasted beets and I was like, why not?! Roasting beets add a smooth, velvet-y silkiness to the beets and so they are the perfect texture for the vegetarian meatballs. They bake up beautifully, making your house smell amazing and making you crave the moment these come out of the oven. As soon as they came out, I definitely picked one up, piping hot and tasted them. So good! I love the sweet and spicy-ness of the meatballs, and feel free to adjust how sweet or spicy you want them. I’m a spice addict, but I definitely adjusted it for the recipe. These are great over spaghetti, and with tons of vegan parmesan cheese on top. 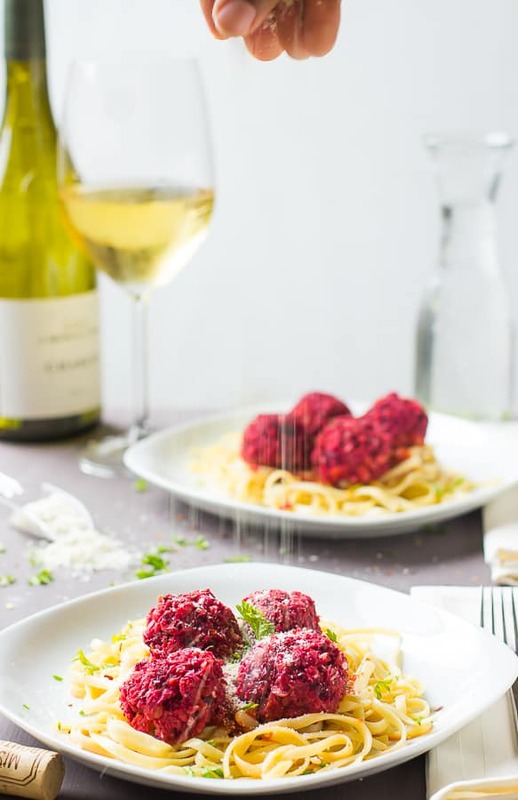 I felt like I was having a perfect romantic dinner because of the beautiful red colour of the meatballs! *cues French music in the background*. I could definitely see these being served as appetisers too though for a small get together. While these didn’t last long in my house 🙂 they do last a few days in the fridge and so are great for leftovers. Preheat oven to 375 degrees and prepare a silicone mat or parchment paper. Set up your flax egg in the freezer for 10 minutes and prepare the other ingredients. In a food processor, add the chopped beet and chickpeas and pulse until smoother. Add in all the other ingredients including the flax egg. Pulse/blend until incorporated together, but not too much (you don't want it to turn into a paste). Scoop out 1 1/2 tablespoons per ball. I got about 13 meatballs. Place on the silicone mat and bake for 15 to 20 minutes, depending on your oven. I baked for 20 minutes. Remove and allow the meatballs to cool. They will definitely firm up as they cool. 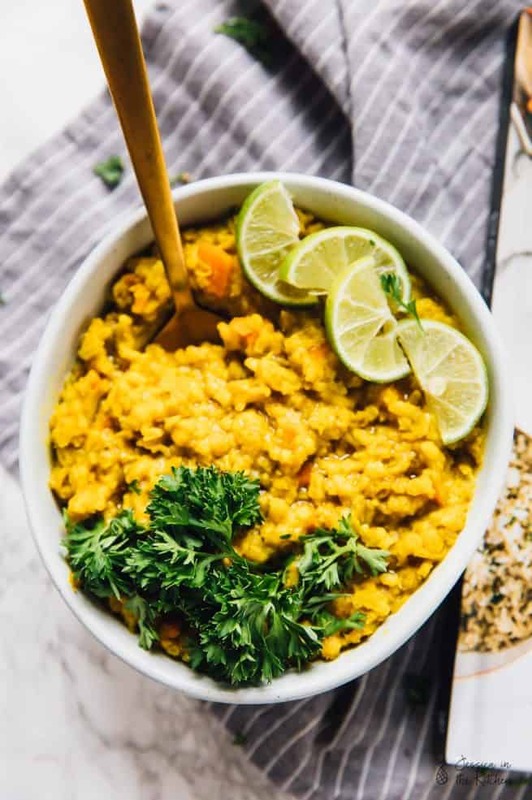 Serve over cooked pasta, even risotto. Top with vegan parmesan cheese and fresh parsley to garnish. These meatballs keep great as leftovers for at least up to 3 days. You can reheat them in the microwave or in your oven until warmed through. 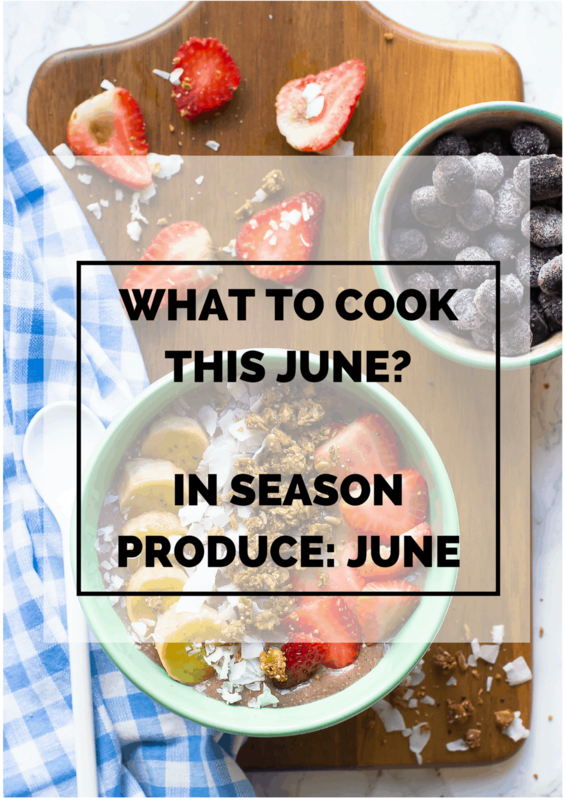 To freeze, mix together, form, and then freezer in a freezer safe ziplock bag and store in the freezer for up to 1 month. Bake when thawed. 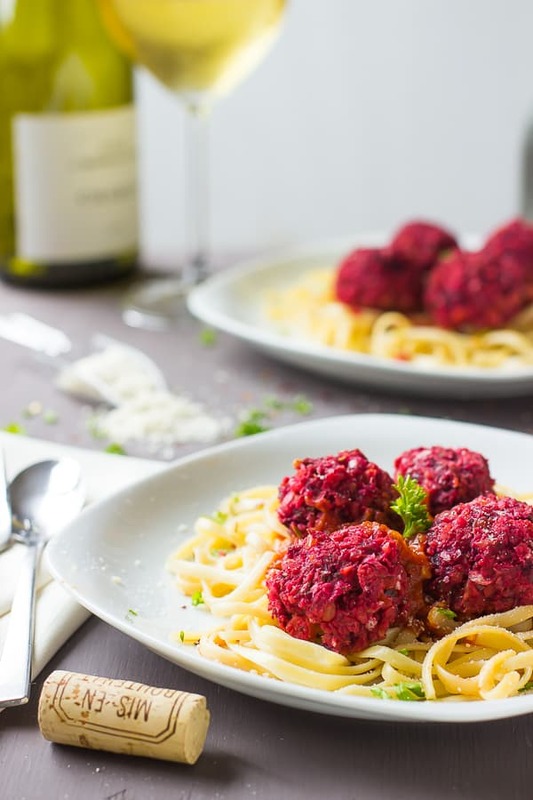 If you give these Chickpea and Beet Vegetarian Meatballs a try, please let me know in the comment section below, or tag me on instagram with the hashtag #jessicainthekitchen! Hahaha. I LOVED the colour! It was almost too pretty to eat (almost). Thanks Ashley! Meatless meatballs are the way forward. They go so well in a meatball sub too with homemade BBQ sauce. So true! Thanks for commenting Dannii! Tweaked your recipe slightly…oats instead of bread, tofu instead of flax egg, made into a meatloaf. It was fantastic. Thanks for the recipe, would never have thought of beets in this. Love your recipes. Would be really helpful to know the weight of the raw beetroot, before being roasted, given beets can weigh anything from a few grams to a kilogram. I’m not sure what weight I used for this – but a medium sized beet should be fine!